Did you know that the flue is an integral part of your kitchen? That’s because it removes hot exhaust gases that are created when you cook. When food products are heated up during cooking, natural oils and fats become vaporized and are then drawn into your exhaust system. About 70% of this airborne grease will be trapped by the grease filter, but the rest of It passes through that filter and attaches to the walls of the exhaust duct and the blades of the exhaust fan. As time goes on, the grease builds up more and more, and the efficiency of the exhaust system gets worse and worse. Temperatures start to increase, to the grease deposits liquefy. If the grease gets hot enough, a flash fire can occur. If the flash fire springs from the grease filters or the area right behind them (the plenum), the automatic fire system will automatically discharge to put the fire out. But if the fire occurs above the automatic fire system’s sensors, then the fire department will have to be called. On average, it takes the fire department about 6 minutes to arrive in a metropolitan area. During those 6 minutes, serious damage to your property can result. You may have to close to make repairs, losing precious income and putting your bottom line at risk. Dramatically lower your risk of flash fires by partnering with Flue Steam. Our primary focus is on flue cleaning – we offer both hand scraping and steam cleaning services. Hand scraping is the most common method using for flue cleaning because it’s the simplest. It involves physically scraping the accumulation of grease from the walls of an exhaust system. This method is effective but it’s also limited by the technician’s ability to access every inch of the flue. Steam cleaning, on the other hand, is more labor-intensive, but it’s also more thorough. A technician will set up specialized equipment and use high-pressure hot water to reach every inch of your flue. We recommend that most restaurants have the flue cleaned at least every 3 months, though fast food restaurants and other restaurants that fry and charbroil frequently will need to be cleaned monthly. Plenty of restaurants sign up for monthly hand scraping and steam cleaning every 3 months. Now is the perfect time to begin your partnership with Flue Steam. Give us a call at 800-700-FLUE. 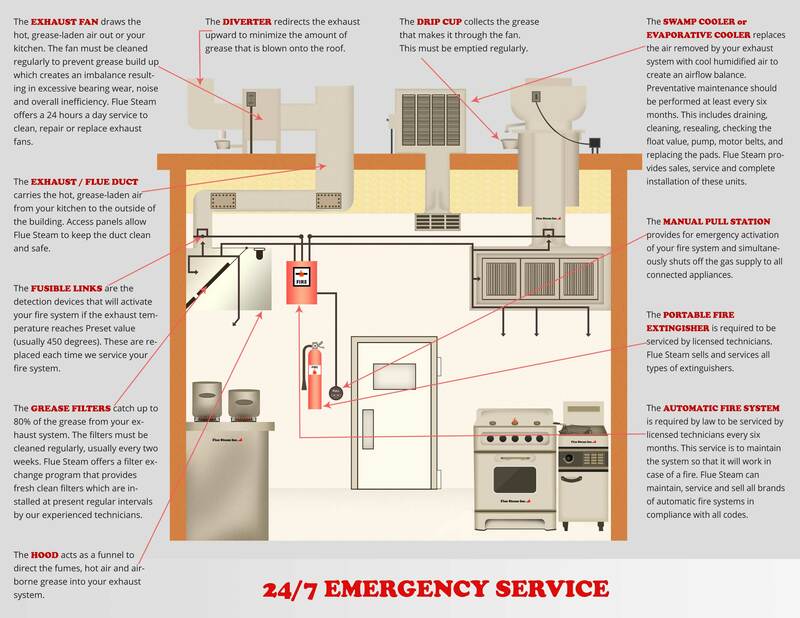 We’ll gladly talk to you about your commercial kitchen and recommend the best plan for optimal safety of your kitchen. 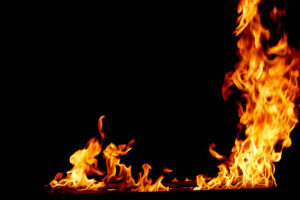 We’re on a mission to prevent flash fires throughout Southern California – partner with us today!